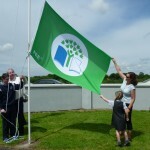 BALLYBROWN SCHOOL: The school’s third green flag was proudly hoisted last Tuesday following two years of work by Green Schools co-ordinator Margaret Hodgins, the green schools committee and the entire school community. Whilst continuing to monitor the themes of the previous flags, litter and energy, the focus of the third flag was water. Guest of honour on the day was Mayor Kevin Sheahan. Entertainment was provided by “Little Tents” whose lead singer is a former pupil of the school. 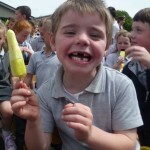 Highlight of the day was undoubtedly the ice creams provided by the Parents Association. 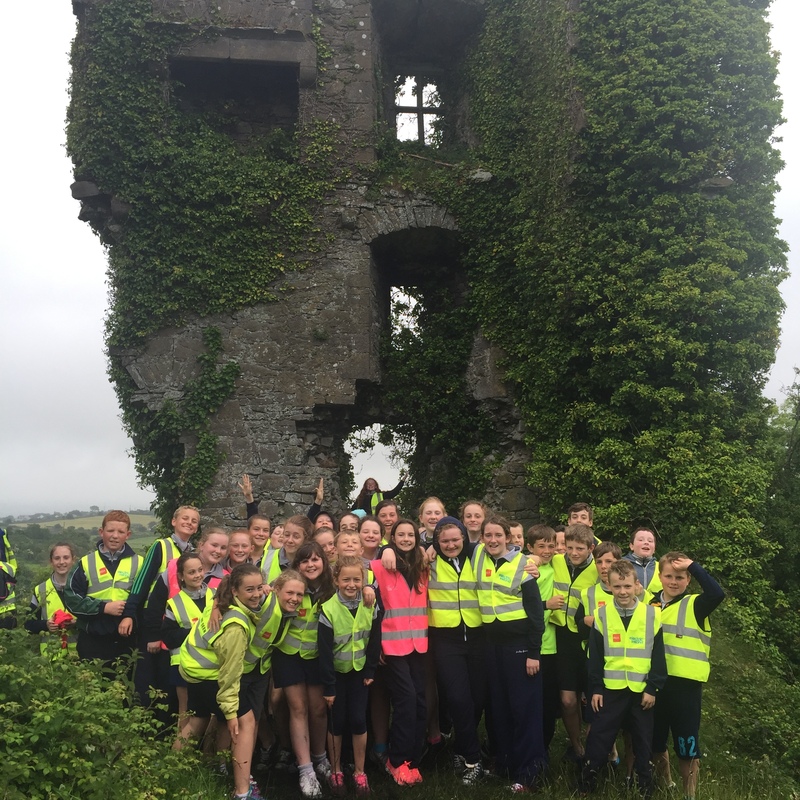 BALLYBROWN NATIONAL SCHOOL teachers Katie Gibbons and Stephen Hodnett co-ordinated Active School Week on June 15-19. With the support of staff and parents a range of activities were enjoyed throughout the week. Indoors there were colouring, create a motto and design a poster competitions but the emphasis for the week was on active outdoor fun. Monday morning started with a “Wake Up, Shake Up” dance session for the entire school followed by obstacle courses and circuits. Tuesdays activities were orienteering, maths trails and an evening session for parents on healthy foods hosted by Yvonne Deegan. Wednesday was “Walk a Mile with a Smile” Day. All classes and staff participated with great support from parents. Junior Infants, Senior Infants and First class walked to the Breska Rovers soccer pitch while second, third and fourth went to Kilkeedy. 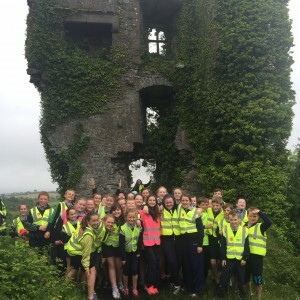 The senior classes walked to Carrigogunnel Castle. It was enjoyed by all in spite of the rain. 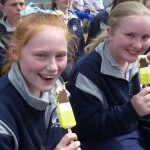 On Thursday the annual School Sports Day was held with novelty races, station games and a Zumba session in the afternoon hosted by Darren Nash. The week’s activities were wrapped up with “Funday Friday”. A series of fun games were organised for infant classes by 5th class and senior classes attended a healthy food demonstration. 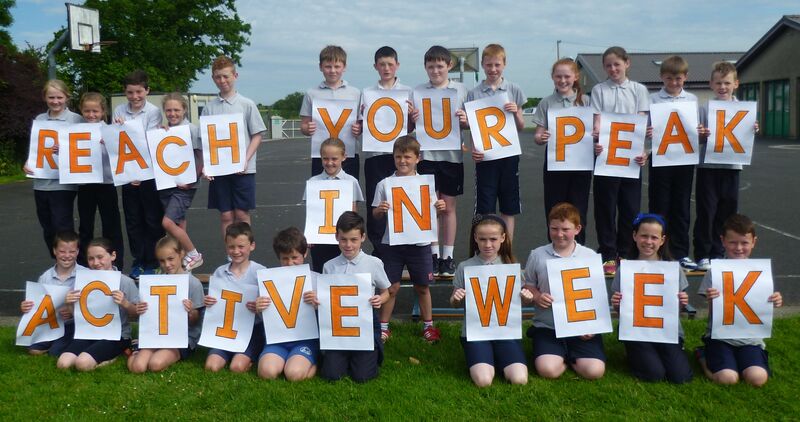 We’re looking forward to next years Active School Week already! LIMERICK SINGS INTERNATIONAL CHORAL FESTIVAL 2015: Will take place from 26th – 29th June 2015. Come join us for a great fun weekend of singing, sightseeing and entertainment! Limerick Sings invites you to its 3rd International Choral Festival. The festival extends a warm welcome to choirs of all traditions and nationalities to come together for a weekend of festive non-competitive singing in spectacular venues including St Mary’s Cathedral and the University Concert Hall Limerick. Limerick has a long and very fine tradition of choral, opera and musical theatre. See www.uch.ie. 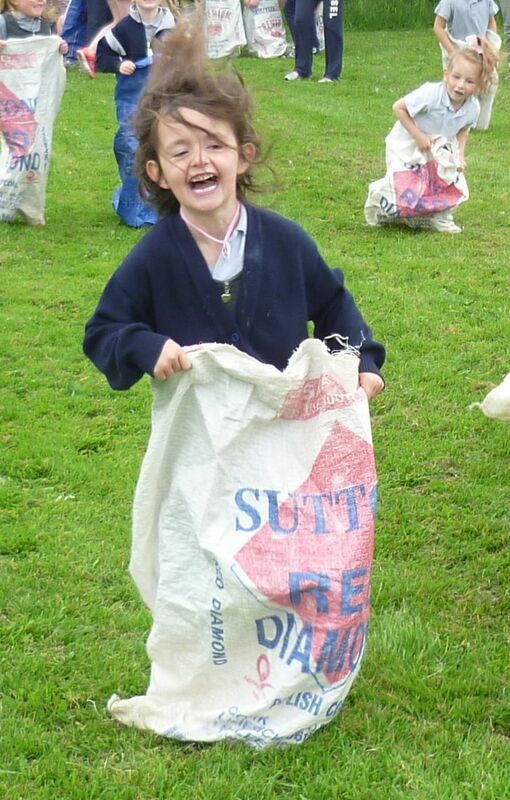 CLARINA TIDY TOWNS have been very busy in the last few weeks. They have painted and planted all the tubs and other areas. It would be appreciated if people who have tubs outside their premises would water them regularly. A great clean up was done on the church road, with fantastic support from the residents. Judging is now in progress, and with your help we will have our village looking very well. Alan Corby goes to BAKU !! The inaugural European Games commenced in Baku, Azerbaijan. Ireland are sending up to 60 athletes to these games from various sporting disciplines. 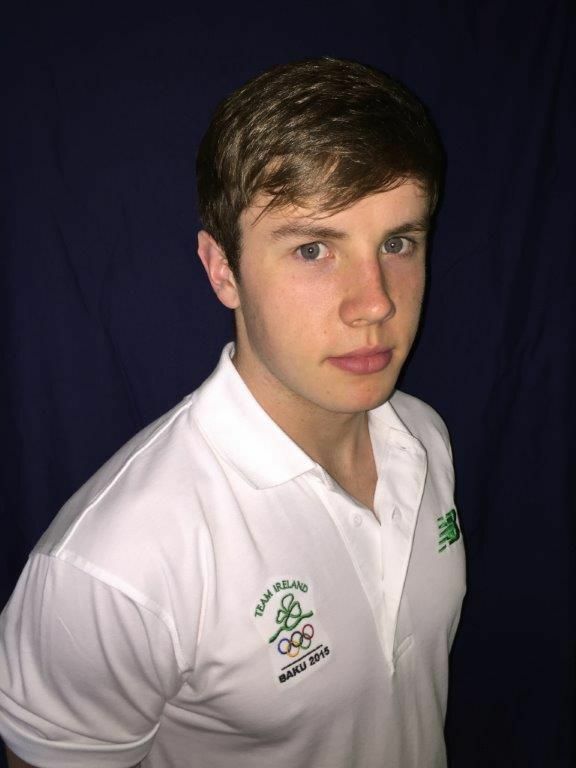 Alan Corby is delighted to be amongst the 12 strong team of swimmers who will represent their club and country in Baku. Alan flies out on Thursday morning and will compete in a number of events from Tues June 23 onwards. This is a tremendous achievement for Alan and everyone wishes him well in the competition. Photographic Competition: This competition is being held on Wednesday evening 17th June in the People’s Park in Adare starting at 7.30pm until 8.30pm. All competitors have to bring their own disposable camera. We wish all those taking part the very best of luck. Rounders – Boys U13: Our U13 Boys rounder’s team played in the county final last Monday against Caherdavin. Our boy’s played and great game, we had drama, excitement and the rule book had to be looked at a few times. They were unlucky on this occasion but they will be back next year. We would like to wish Caherdavin all the best in the Munster final in July. SAGE SUPPORT FOR OLDER PEOPLE: Are you someone who can stand back from the crowd? Sage Support and Advocacy Service for Older People needs volunteers to help speak up for older people across all care settings. Fr Leslie McNamara will visit our Parish next weekend 20/21st. 9.30am Monday, Tuesday, Wednesday, Thursday & Friday. Adoration: Saturday 8.00am – 12.00noon. Baptisms: 2nd and 4th weekends in the month on Saturdays at 5.30pm and Sundays after Mass at 12.15pm. 9.30am Monday, Tuesday, Thursday & Friday. Baptisms: 1st and 3rd weekends in the month on Saturdays at 5.00pm and Sundays after Mass at 12.30pm. MUNGRET: From Sunday 7th June to September – Sunday morning mass will be at 9.00am in Mungret Church instead of 11.30am.